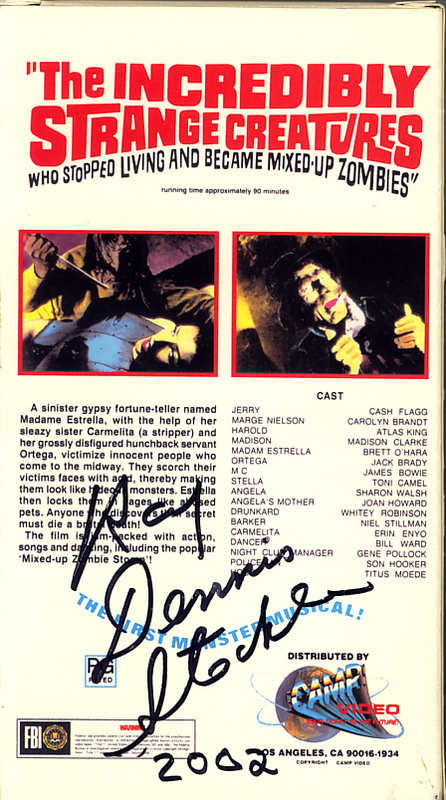 The Toxic Avenger on VHS video. Movie starring Andree Maranda, Mitch Cohen, Pat Ryan, Jennifer Baptist, Robert Prichard, Cindy Manion, Gary Schneider, Mark Torgl. 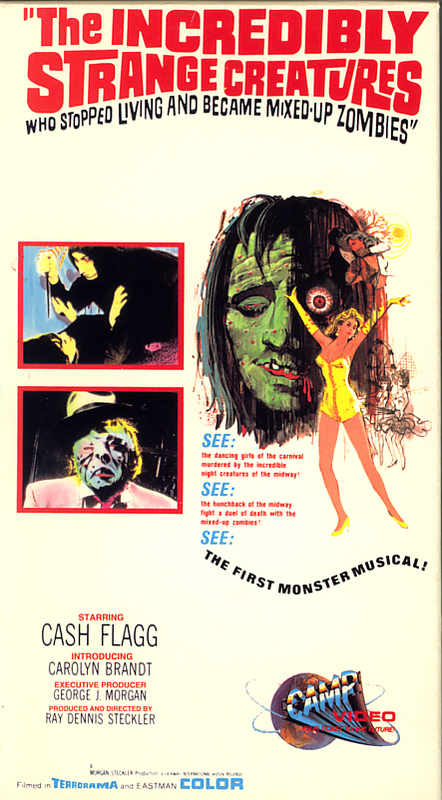 Directed by Michael Herz, Lloyd Kaufman (a.k.a. Samuel Weil). 1984. The First Superhero From New Jersey! What’s faster than a spreading germ… more powerful than Mr. Clean… and more lethal than nuclear waste? Is it a floor-cleaner? Is it a waste site? No… it is the TOXIC AVENGER, the first super hero from New Jersey! He french fries his foes… dry cleans the dastardly. Watch out, bad guys! 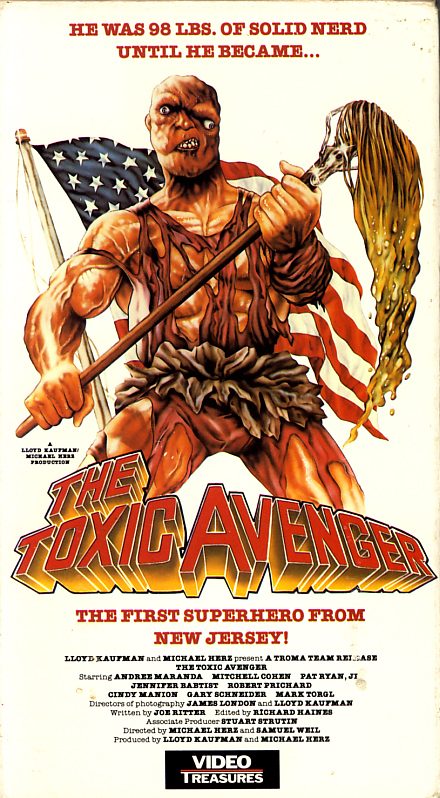 Truth, Justice and The American Way is on a righteous rampage–it’s Melvin, alias THE TOXIC AVENGER, and he’s gonna getcha! Transformed from wimp to warrior by a dip in a chemical pool, Melvin (“Tox” to his friends) battles corruption and crime in a small American town. But can even an industrial-strength super-hero survive a showdown against an army of tanks and troops? Thrill to the action, adventure and yes, romance, of this hilarious tongue-in-cheek hit. WARNING: Explosively funny. May cause irritation to the excessively serious. Grease 2 on VHS. Movie starring Michelle Pfeiffer, Maxwell Caulfield, Adrian Zmed. With Tab Hunter, Sid Caesar, Eve Arden, Didi Conn, Christopher McDonald, Lorna Luft, Maureen Teefy. Directed by Patricia Birch. 1982. It’s 1961, two years after the original “Grease” gang graduated from Rydell High, and there’s a new crop of seniors. The Pink Ladies and the T-birds are still the epitome of cool, except that over the summer, something’s happened to Stephanie, the sorority leader. She feels she’s outgrown Johnny, the head T-Bird, and is looking for a new love — one who’s even more cool, and whose bike is even hotter. Meanwhile, newcomer Michael is smitten with Stephanie, who won’t even notice him. The conflict is on and the Rydell High fun takes off to new heights.